This course is designed for international students with advanced Japanese language skills who want to study with Japanese students at five FSG College League schools. ●Diploma (two-/three-year courses) and Advanced Diploma (four-year course) degrees! ●Job hunting support in Japan! ●Expertise and skills acquired in Japan are great advantages for job hunting in home countries! 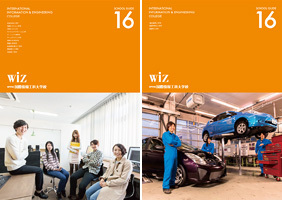 See the brochures of FSG schools of your choice for course details. In the school brochures, the icon on the left indicates courses recommended for international students. ※Applicants from Japanese language schools overseas shall pay the tuition after the visa is issued. ※Full support provided from dedicated school staff. Scholarships available for students with outstanding academic records and who are eager to acquire expertise and skills in Japan. Ranks A-C are determined by document screening and interviews. In addition to FSG's scholarship, other scholarship programs from other organizations are available.